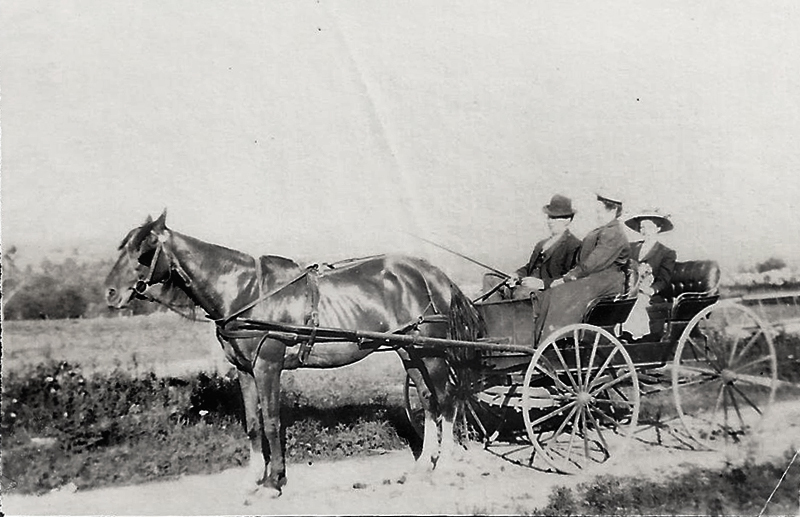 A handwritten notation on the back of this photograph reads, "On Wiley's Road." We'd like to be able to say it's in Wiley Canyon — there would have been a road leading to Henry Clay Wiley's property southwest of the town of Newhall in the 1860s-70s — but we don't even know if it's the Santa Clarita Valley, or if we're dealing with the right Wiley. The print was purchased at a flea market with a number of other photographs, and all we know is what it says. If it is the right Wiley, it could even be in Los Angeles, where he actually lived while owning property in the SCV — in a house at Fort and 2nd street. Fort Street was later renamed Broadway. If you have ideas about this photograph, please leave them in the "comments" section below. LP9001: 19200 dpi jpeg from smaller jpeg of original print.